Allure Bridals wedding dresses offer brides a wide selection of styles, silhouettes and more. 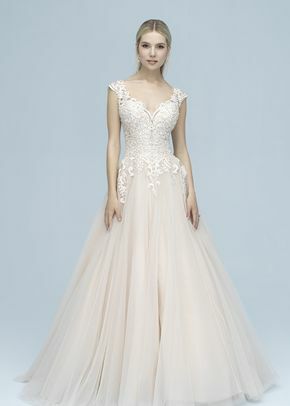 Every gown features unique details, like beading, dramatic backs, or playful appliqués — making Allure Bridals wedding dresses a great pick for any wedding aesthetic. Whether you’ve envisioned yourself in a backless fit-n-flare gown or perhaps something embellished and grand, Allure Bridals wedding dresses will make any bride feel gorgeous on her big day.